I decided to reduce my blog posting frequency the past few weeks so I could concentrate more on programming. 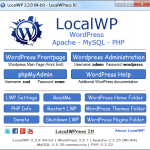 I have been working on a new program called LocalWP. 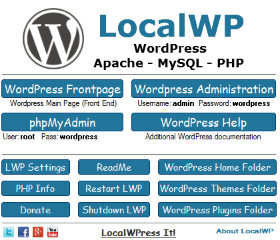 It allows you to use WordPress on your local Windows based computer. Why would you want to do that? For many reasons really. From testing to developing, to just playing with WordPress, and anything in between. The potential is great, and you are limited only by your imagination. All you have to do is download the .zip file, extract it to your computer, and start LocalWP. Once it starts you can use WordPress on your computer right away. Everything is pre-configured and ready to go. You don’t need to install or setup the database or anything like that. It doesn’t rely on any Windows system files or make any changes to your system. It runs directly from any folder that you extract it to. If you decide to get rid of it later all you have to do is delete the folder you extracted it to and it’s gone. You can also delete the folder it was extracted to and re-extract it again to start fresh again if you wanted to. There you will find more information and download links in both 32-bit and 64-bit varieties. It will be updated as often as possible. I am starting the very first version as LocalWP 2.0.0. There was a fairly extensive test phase involved that I would consider Alpha, Beta, and RC, which would have been along the lines of 1.0.0. I don’t really like the number 1 unless we are talking about a race or Google rankings anyway. When I update Apache, MySql, PHP, phpMyAdmin, or WordPress it will likely become 2.0.1/2.0.2/2.0.3, etc. or if there is a minor LocalWP source code tweak or change. If there happens to be a more extensive change to the package or the source code it would become more along the lines of 2.1.0/2.2.0/2.3.0, etc. I am currently working on a fairly significant update that I hope to have available somewhere around the end of October to the early part of December. It will include additional user-friendly features so watch for it a few months down the road. I will be focusing more on LocalWP than blogging for the time being. I will still try to make a few blog posts when I have some free time available. A new WordPress theme template design How to Manually Install WordPress Step by Step Upgrading to WordPress 3.2 How fast does Google index your posts? It means you can check all the update and changes on LocalWP before running them on live website. That’s really cool program, plus as you mentioned it’s really easy to use so I think every WordPress user should try this out. You could use this to test a WordPress upgrade or plugin upgrade prior to doing so to a live site. It would definitely work great for that. Hi there, just knew about this software. Are you the developer? I’m using Portable WordPress, pretty good so far. I am the developer. In all honesty I don’t do a lot of testing and developing WordPress Multisites. I don’t see why it wouldn’t work just fine for Multisites, but I can’t say with 100% certainty at the current time. I don’t know if you are looking to host a live site locally or if you are just testing and developing. The default configuration and setup is configured more for local testing than a live site. It is possible to use it to host a live site, but additional changes to configuration files would be necessary, and MySQL would need a root password update for that. This is amazing tool. Im developer and i used it with xampp. Now im gonna try this tool. Im sure this will helpful for every WordPress developers. This is probably over my head so excuse me for asking the stupid questions. So if you install this on your computer it acts just like you installed it from your server? You said you could mess with the database so that’s why I’m assuming so. What I usually do is just create a test blog for trying things out but as you mentioned, it has to go live and not really something I want people finding my mistake. Pretty cool program, you’re the man. I know it might sound a little complex or confusing, but really it’s not. I have made it with simplicity for the user that has no idea how to install WordPress or a database in mind that will run on their regular Windows computer. It comes with everything that you would need to run a website just like a web host server including WordPress ready to go. So what you get is Apache (web server), MySQL (database server), PHP, phpMyAdmin (for database maintenance), and WordPress (current version is 3.6.0 at this time). So one could use the included phpMyAdmin to mess with the database. LocalWP is the program I wrote to make it all work and happen. I created it for the user with testing and developing in mind. Years ago I used to make test sites in my web hosting account, but for a number of years now I have been doing it locally on my own computer. To me it’s much faster and easier. Also it doesn’t actually install or modify any Windows files. You just extract it and it will run from the folder that it’s extracted to, which also means there is nothing to uninstall. If one wanted to get rid of it you would just delete the folder it was extracted to, and then it’s gone. This also makes it portable meaning you can move it to another folder location, flash drive, external usb, etc. Anyway this is part of the reason I haven’t been around so much lately. It has been a lot of work, and it keeps me pretty busy right now. I should have a fairly significant update with new features available in 3-8 weeks. Well done with this nice invention! I’m certainly going to give it a try as well! Emmanuel recently posted..In the Name Of Blogging! Thanks for stopping by and checking it out Emmanuel. 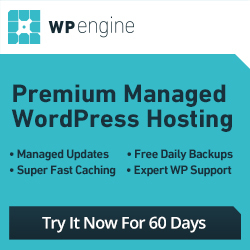 It is a handy program if you are into WordPress. I hope to continue building on it over time and updating it. I am working on a nice update that will hopefully be available in a few weeks. If you like what you see do check back in a few weeks for a new version. it’s really very important to check theme and plugins off line before making them live on any blog. it helps to find out errors and loading speed. nice tips and thanks for sharing. Man, this would have been a great post to find a few years ago when I was stumbling my way through my first few local/production merges. Thanks for all the info packaged in one nice post. 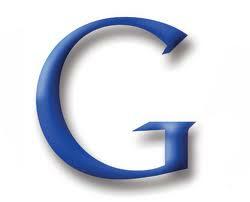 Sophorn recently posted..Acquire Better, More Targeted Customers With Your Very Own SEO Web E Store Website. 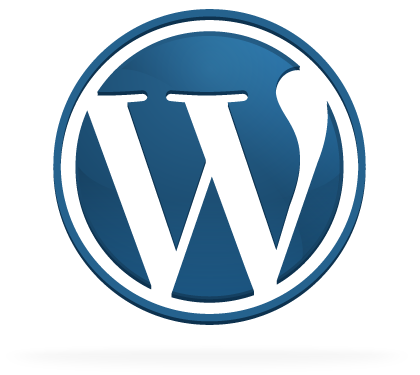 Checking your wordpress offline is really essential for us and doing it on local WP is really easy.. Testing and checking your themes for bugs and other spammy material within the theme is always advisable..Thanks Jeremy for beautiful thoughts..